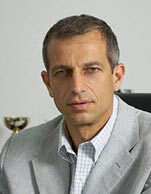 Aristides J. Pittas is the Chairman of the board and CEO of Euroseas since its inception on May 5, 2005. He is also the founder and President of Eurobulk Ltd, a ship management company, Eurotrade, a ship operating company, and Eurochart S.A., a shipbroking company, since 1995 and 1997 respectively for the latter two. From September 1991 to December 1994, Mr.Pittas was the Vice President of Oceanbulk Maritime SA, a ship management company. From March 1990 to August 1991, Mr.Pittas served both as the Assistant to the General Manager and the Head of the Planning Department of Varnima International SA, a shipping company operating tanker vessels. From June 1987 until February 1990, Mr. Pittas was the head of the Central Planning department of Eleusis Shipyards S.A. From January 1987 to June 1987, Mr. Pittas served as Assistant to the General Manger of Chios Navigation Shipping Company in London, a company that provides ship management services. From December 1985 to January 1987, Mr. Pittas worked in the design department of Eleusis Shipyards S.A. where he focused on shipbuilding and ship repair. Mr. Pittas has a B.Sc. in Marine Engineering from University of Newcastle M Upon-Tyne and an MSc in both Ocean Systems Management and Naval Architecture and Marine Engineering from the Massachusetts Institute of Technology.